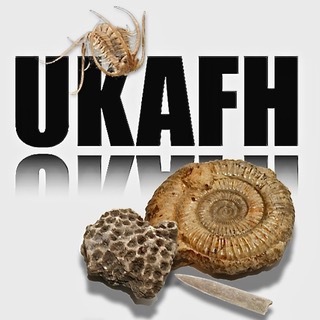 Find beautiful ammonites and fossil shells on our guided fossil hunt. It can be a very productive location when the conditions are right, yielding a wide range of ammonite species. Most fossils are found on the foreshore. The Early to Late Liassic rocks at Runswick Bay, coupled with ease of access, foreshore collecting and a high frequency of ﬁnds, make this a good location for families trying their hand at fossil collection. Undoubtedly, the coast of North Yorkshire and surrounding the town of Whitby, is a mecca for Jurassic marine fossil collectors. Although any section of coast from Staithes to Ravenscar will oﬀer much the same fauna, especially well-­preserved ammonites at Runswick Bay (including the common Dactylioceras tenuicostatum), about 9 miles from Whitby, is a site well-suited to families. Access to the beach is easy, with car parking close by. Head east, once on the beach and search among the rocks and beach rubble that occurs all the way to Kettleness. Take care to watch the tide, as there is a danger of being cut oﬀ! The secret is to ﬁnd the hard, ovate or spherical shaped nodules, which contain very well preserved ammonites. These nodules erode because of the sea’s action upon them and the keel of the ammonite within can often be seen. Sometimes, the nodules can be found in situ protruding from fallen blocks of shale on the beach and can simply be collected from the bedrock. Typical nodule found at Runswick Bay, in this case containing a good sized ammonite. The nodules need to be ‘cracked’ open, using a geological hammer. This is a relatively easy task and a well-­aimed blow should provide a nice specimen and the negative impression too. Ammonites are the most common fossil found in the nodules here but other fossils can also be found at Runswick Bay, including the large oyster, Gryphaea, various molluscs and belemnites. Remains of Pleistocene mammals, such as mammoth or bison from the North Sea are also often found here, washed up on rough tides. Most events will not have access to toilets. The best places to find fossils are mostly areas away from built up areas, and tend to be quite remote. There are a few exceptions where toilets are close by, but it is best to presume they won’t be available. No tools are allowed on this site due it’s designation as a SSSI, and in any case, are not needed as fossils can be found loose in the scree. We try very hard to avoid having to cancel, but if an event needs to be cancelled due to adverse weather conditions or unforeseen circansances, we will notify you immediately, and you will be offered an alternative hunt or date or a refund.